Let Big Island Honda Help You Choose Your Perfect Honda Sedan! If you’re searching for a new sedan, knowing where to begin can be a challenge in and of itself. Sedan options are seemingly endless: compact and mid-size, economy and luxury, comfortable and sporty, and so on. Fortunately, the new Honda Sedans satisfy many drivers’ unique tastes and preferences, thanks to affordable price-tags, fuel-efficient engines, great safety ratings, and enticing features. To figure out which is right for you, look below for quick overviews of the new Accord and Civic! The first step to buying the Honda Sedan of your dreams is deciding on the specs and features you want. Are you shopping for a small and sporty sedan that’s affordable and great on fuel? If so, you may be happier at the wheel of the new Honda Civic. Or, are you in the market for a mid-size sedan with multiple trims and technology features? In that case, the Honda Accord may be more your style. Power: The LX and EX are fashioned with a 158-hp 2.0L 4-cylinder engine, while the higher trims get a turbo version that produces a cool 174 hp. Mileage: With the available turbo engine and LL-CVT, the 2018 Civic earns an EPA-estimated 32 mpg city/42 mpg highway** rating. Safety: The 2017 Civic earned a Top Safety Pick rating from the IIHS, and offers Honda Sensing—a suite of driver assists—on each of its trims. Features and Options: The Civic comes with automatic climate control, illuminated steering wheel controls, and a rearview camera. A few options include a power driver’s seat, automatic LED headlamps, and a 450-watt sound system. Power: The EX-L and below feature a 185-189-hp 2.4L inline-4 engine, while the EX-L V-6 and Touring sport a 278-hp 3.5L V-6. Mileage: With the base engine and available CVT, the 2018 Accord earns an EPA-estimated 27 mpg city/36 mpg highway** rating. Safety: The Accord is safer than many in its class, thanks to a 2017 IIHS Top Safety Pick+ rating (when equipped with Honda Sensing) and plenty of available driver assists. Features and Options: Dual-zone climate control and an 8-inch Intelligent Multi-Information Display are just a couple of its standard features. Push-button start and HomeLink are standard on the EX and above. Purchase Your Civic or Accord at Big Island Honda! 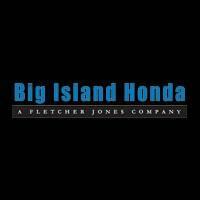 Test drive new Honda Sedans at Big Island Honda in Hilo and Kailua-Kona! We’re located at 124 Wiwoole Street in Hilo, HI, as well as 75-5608 Kuakini Highway in Kailua-Konda, HI. If you have questions about our inventory or financing, contact us today at (808) 439-6007 (Hilo) or (808) 202-2760 (Kailua-Kona). *MSRP excluding tax, license, registration, destination charge, and options. Dealers set their own prices.